Arguably, a good percentage of equipments that are used to play DVDs in most homes are DVD players. It is one of the most common equipments that you can come around in any home when it comes to home entertainment. If you have not seen one or you do not know your way around viewing DVDs on your TV, here is what you will need in order to play DVD on TV. Once you have all the above requirements or equipments, it you will need to connect your DVD player to your TV set using the connecting cables. The connection ports or the inputs are usually at the back of your television and DVD player. They are usually marked in different colors (Blue, White, Red and Yellow). The choices of the input are usually determined by the available inputs on your TV, in addition to the type of output available on your DVD player. If your DVD movies are homemade , please make sure they are playable, as some DVD burners burn data DVDs that aren't supported by some DVD players. To make DVDs that can be played on any standard DVD player, you can use Aimersoft DVD Creator. Please make sure the DVD region of the DVD disc and that of the DVD player are matched. Otherwise, the disc cannot be played and you need to remove the DVD region first. Step 1. Before embarking at any connection, it is advisable to ensure that all the power sources are turned off so as to avoid cases of electrocution. If you have not disconnected the power source, you might end up losing your entertainment equipment. Step 2.To play DVD on TV, open the box and place the DVD player on a shelf close to the TV set. It is advisable to ensure that the connector cables are long enough to reach the television from the shelf you decided on. Owing to the heat created by the motor that is inside your DVD, it is advisable to place it anywhere except from the top of the television given that it will result in overheating of the television. Of course, you would not like the performance of an overheating electrical equipment, of course the television or DVD player. Step 3. Connect your DVD player to your TV set using the audio/video input connector cables. Plug one end of the three-pronged connector cables that came with the DVD player into the port on the television marked LINE IN. It is advisable to ensure that the colors of the connector cables match the colors in the TV terminals. The Blue connector cable goes in the Yellow outlet; the Red ones in the Red outlet and the Blue ones goes in the Blue outlet. Step 4. Insert the other end of the connector cables into the ports on the DVD player marked LINE OUT. As usual, ensure that the inserted connector cables correspond with the terminal’s color. Step 6. Then again, never ignore the power of a user manual. In case you are not sure, always refer to the user manual to change or customize your DVD screen, if necessary. Step 7. Make sure that the clock is set correctly. In case you find some difficulty in setting the clock correctly, refer to the user manual, which will assist you in changing the time manually. Step 8. After you have ensured that all the connection has been done properly, turn on the Television and the DVD player. Step 9. Ensure that the television channel is set correctly. If it is not set correctly, change the television channel to AV1 that is if you used the 3 connector cables on both the terminals (AV1 and AV2). You can change the television channel by pressing a button TV/Video which is usually found on the TV or the TV remote. Step 10. Open the Door of the DVD player by pressing a button OPEN/EJECT. Insert a DVD into the player with the label side facing up to see if your connection was successful. Close the door by pressing OPEN/EJECT button. Wait for the DVD to load which in most cases, displays a notification on the screen that says "Loading." Keep in mind that DVDs come with menus, meaning they will not play automatically. Step 11. Use the remote control to select the desired options such as subtitles, languages, or any other option you think of, and then play to view your DVD. When you encounter problems when it comes to playing a DVD on your television set there is always a reason for it. Some of the reasons are either technical or just problems associated with power input. Here are some of the reasons that are associated with problems when playing a DVD on your TV set. Not connecting the DVD properly is one major reason for your DVD not showing, this is can result to confusion caused by the numerous ports available on the DVD player. 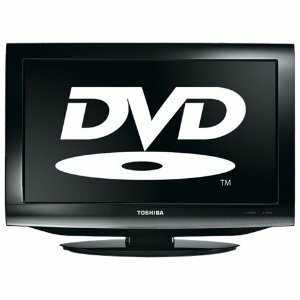 It is important before playing your DVD or after encountering problems to ensure that the connection is set properly. In most cases, the connection can be labeled as LINE IN or perhaps CD LINE IN. On the other hand, you should also verify that the power connection is well connected to a working power source. If you have not set your TV or DVD player line properly, you can never watch your movie. Therefore, it is advisable to ensure that they are set properly, meaning you will have to change the line input of the TV or DVD player. You can achieve this by changing or pressing the -- > LINE, TV/VCR, VIDEO or Input Select button. In most cases, individuals tend to assume that the DVD format that they are using is automatically compatible with their players. That is not the case, you must ensure that the DVD disc that you are using is compatible with the DVD player and it is not faulty. To burn videos to playback on DVD players and TV, you can't miss Aimersoft DVD Maker. It's an intuitive DVD burning software to help users burn almost all regular videos to DVD. Supported video formats include: MP4, AVI, WMV, MKV, MOV, MPG, FLV, ASF, AVCHD, MTS, ASF, etc. Besides, you can add photos to make an eye-catching photo DVD slideshow. Lots of free and exquisite DVD menu templates are offered for your preference. Just get it and convert home videos to DVD for playing on DVD players and TV with ease! Mac users can get Aimersoft Best DVD Creator for Mac to burn videos to DVD on Mac OS X (10.9 Mavericks included). My Aimersoft created dvd's do not respond to my dvd player remote. They just play straight through and I can't pause, or adjust volume, or skip chapters. I have to reburn them using iDVD. Please help.